Sam Andrews, the lead guitarist for Big Brother and the Holding Company and the only musician to come up with an instrumental equivalent to the scorched leather vocals of lead singer Janis Joplin, has died at the age of 73. His passing warrants a mention and brief appreciation of the sound he made on the frets. Andrews was not the greatest guitarist in the world, but he was part of that Bay Area tradition where folkies had dropped their acoustic guitars and picked up the electric ones, creating a style of improvisation that was jarring, jagged, atonal, ham-handed, an organic fusion of styles based in the blues but owing much to Indian classical raga music. As with much of what typified the Sixties counterculture, these young bohemians drew from the music the liked and listened to; some had formal training, others did not, but there is a strong scent of do-it-yourself in the overall style of Bay Area guitar soloing that made it at once identifiable. Andrews was definitely one of the most visceral of the players on the scene. 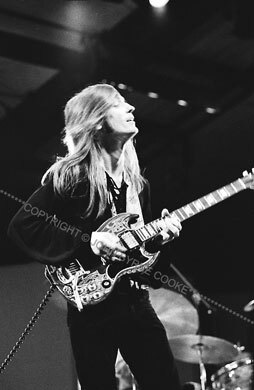 Others like Hendrix, Clapton, Winter were smoother, faster, more graceful in their execution, but the likes of Andrews, John Cipollina (Quicksilver Messenger Service), Jorma Kaukonen(Jefferson Airplane, Hot Tuna), Barry Meltzer (Country Joe and the Fish) and Leigh Stephens (Blue Cheer, the Destruction Derby version of a psychedelic band) had a distinct genius for delivering pulverizing , strident solos that veered toward a naive avant-gard niche. It was energy and it was intense and, though often clumsy, it was powerful. I spent hours listening to this stuff, loving every note of their splintering cascades. His introductory solo to Big Brother and the Holding Company's version of Richard Roger's song 'Summertime" fairy much illustrates what I'm describing, which is say that it resembles a freak occurrence in the natural world, blind fury fused with a barely mastered vocabulary of the blues and other folk forms further amplified by technology that can only make what is fed to it a snarling, sparking fury, an air horn in the good hear, a cherry bomb in your pants. Clive Davis, legendary former head of Columbia Records where Big Brother was signed, wrote in his memoir that he played the band's version of the classic song for Rogers, who, Davis writes, was angry beyond consolation and stormed incensed from the office, vowing never to write another song. Best review ever, I think. Derek Baily and Robert Fripp would both have tea in the same room and smirk oddly while this solo played, I imagine. What would make those two smile even more widely is the firebombing Andrews commits during his solo during Big Brother's version of Big Mama Thorton's "Ball and Chain." While Joplin effectively deconstructs the blues into a series of yowls and hungry, rasping gales, Andrews doesn't so much play guitar as much as a force to make sounds heard only, til that instance, on the outer boundaries of sanity and bad taste. Terrible beauty.